A beautiful sunny day makes us all want to go out and soak up the rays. Not a good idea, unless you protect your skin from harmful rays. Three and a half million cases of skin cancer are reported each year in the US and over 90 percent are caused by the sun's ultraviolet rays. Georgia Dermatology Center provides top level nonsurgical and minimally invasive surgical options for anyone of almost any age who is concerned with keeping themselves looking as refreshed and vibrant as possible. We offer wrinkle reduction and soft tissue filler injectables, liposuction, mini face lift, laser skin rejuvenation, vein treatment, Exilis and other cosmetic services. 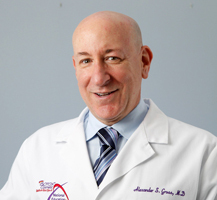 Dr. Alexander Gross is a respected leader in physician education, medical and cosmetic dermatology, dermatologic surgery, and laser technology. Board Certified in both Dermatology and Internal Medicine, Dr. Gross provide his patients with 20 years of practical experience and state-of-the-art treatments. From annual skin checkups, to the latest in medical-grade skin care products and noninvasive cosmetic procedures, Dr. Alexander Gross at Georgia Dermatology Center is ready to customize a unique plan to help you attain healthy vibrant skin. All surgical procedures at Georgia Dermatology are comfortably performed in-office with topical or local anesthesia. These practices minimize patient risk and eliminate the cost of an anesthesiologist. Dr. Gross evaluates each patient prior to medical or cosmetic procedures, and even those being performed in the medical day spa, to insure that patients choose procedures that are best for their unique concerns. Dr. Alexander Gross is a respected leader in physician education, medical and cosmetic dermatology, dermatologic surgery, and laser technology. 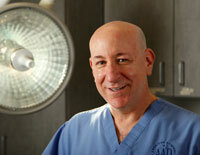 He is Board Certified in both Dermatology and Internal Medicine. Dr. Gross has served as a board member and past chairman of Georgia Composite Medical Board. Board members are appointed by the Governor and confirmed by the State Senate. The mission of the Georgia Composite Medical Board is to protect the health of Georgians through the objective enforcement of the Medical Practice Act. In a continuing effort to increase awareness about the risk of sun exposure and tanning beds, and to foster good habits with regard to the prevention of skin cancer, including sun avoidance and sunscreen use, Dr. Gross and Georgia Dermatology once again held their annual Forsyth County Poster Contest. The content is open to any Forsyth County elementary school student in the 4th or 5th grade. The contest is held in May which is Skin Cancer Awareness month. Winners were selected by a panel of judges and were recognized for their beautiful posters that depict the dangers of over exposure to the sun and the use of sun screen. 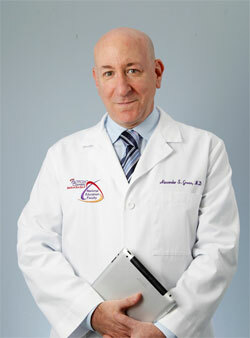 Learn more about Atlanta dermatologist Alexander Gross click here. Georgia Dermatology has patients from Atlanta and all over North Georgia because of the many advanced services that they offer and also for the excellent care they receive. Whether you live in Alpharetta, Johns Creek, Milton, Roswell, Dahlonega, Canton, Duluth, Gainesville, Sandy Springs, or Suwanee, you will find your experience at Georgia Dermatology to be quite pleasurable. From the time you are greeted until you check out, the entire staff will take great strides to ensure your time spent at Georgia Dermatology Center was beneficial in solving all your skin care needs. Call to schedule your appointment now.
" Back to Top "